The Pentair MiniMax 100 pool heater is designed for above-ground pools and spas. The MiniMax has the ability to raise the temperature of a pool well above 80 degrees, and a spa up to 104 degrees. This unit will last up to 10 years and require little maintenance. However, as with most heating systems, there will come a time when wear and tear will affect performance. Before this happens, a little preventive troubleshooting will go a long way to extending your MiniMax heater's life. Problems to check include thermostat issues, venting, pressure switch and flame adjustment. Manually reset the thermostat if the main burner fails to light. If this happens the control will go into lockout and the valve will immediately turn off automatically. Turn off the "ON/OFF" switch for a minimum of five seconds to reset the unit. Do not attempt more than two ignitions in succession. Allow at least five minutes for the gas to clear before attempting to ignite the heater again. Check the venting system. Ensure there are no obstructions to the flow of combustion and ventilation air. Remove obstructions as needed. Inspect the main burner and pilot burner flame. A blue flame is ideal. Clean the burners if the flame is yellow. Keep the burner area free of combustible materials and flammable liquids. Keep the thermostat setting to 78 degrees or lower to conserve energy. The American Red Cross considers this to be a healthy temperature for swimming. Once you have set the thermostat at the desired temperature, tighten the thermostat stopper. Set the thermostat to 65 degrees if the pool is only used occasionally. 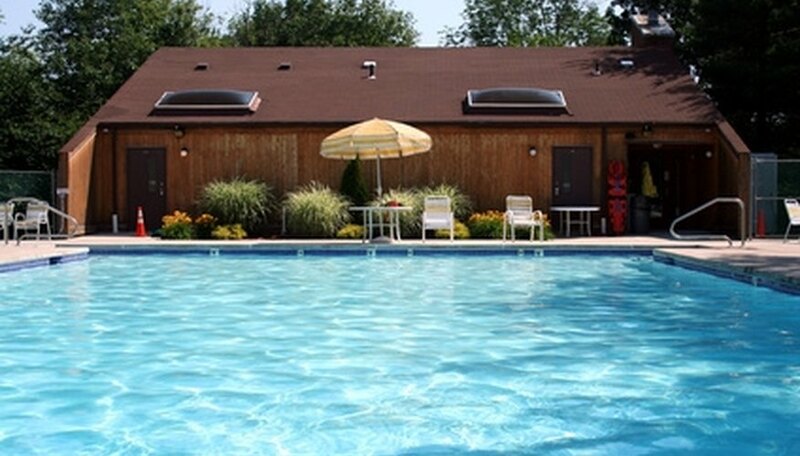 Adjust the pressure switch on the heater if the unit is below the water level of the pool or spa. The pressure switch keeps the circuit open when the pump is not on and operating. When the pump is engaged, the pressure switch closes the circuit and the heater turns on. Backwash the filter and clean out the pump lint basket before adjusting the pressure switch. Turn on the circulation pump. Switch on the heater and push the thermostat to its highest setting. Turn the adjustment knob clockwise until the heater shuts down. Turn the adjustment knob counterclockwise 1.25 turns to re-fire the heater. Switch the pump off and the heater should shut down. Repeat the process if it does not. Switch the pump on and off several times to assure proper adjustment. Normally the heater will light on the first or second ignition attempt. Turn the heater off at the main gas valve while on vacation. Do not operate the MiniMax pool heater at temperatures lower than 32 degrees Fahrenheit. Do not attempt to light the heater if you smell gas. Do not touch any electrical switches or use a phone near the heater. Call your gas supplier. If you are unable to reach the gas supplier, call the fire department. Do not use the heater if any part of it has been underwater.